A week ago, the International Criminal Court prosecutor called in a statement for a delay in the Kenyan president’s trial, saying there is no longer sufficient evidence to charge Uhuru Kenyatta with crimes against humanity. The trial against him was scheduled to start on 5 February 2014. The case has suffered major setbacks in recent months, and now a key witness is not willing to testify while another one confessed to giving false evidence on a critical event in the case, according to Prosecutor Fatou Bensouda. The Kenyan case at The Hague remains a farce and justice for the victims of the 2007-2008 post-election violence seems to be so further away than ever. However, the fate of more than 1,000 Kenyans who had to die and 600,000 who were displaced should not be forgotten. Chief prosecutor Bensouda promised that she will “undertake all remaining steps possible to strengthen the case to ensure justice for the victims.” The news certainly pleased Kenyatta as well as the African Union (AU) which demanded after strong lobbying from Kenya and neighboring Uganda that the remaining cases at The Hague should be referred back to Kenya. In fact, the AU threatened that African countries would resign from the ICC when the demands of Kenya’s governments would not be met. As I pointed out in June, a wrong signal to victims of genocide, crimes against humanity and ethnic cleansing. Instead of increasing the international justice regime, Kenya is on the forefront of weakening it. Human Rights Watch (HRW) has set up a list of seven perceptions that are prevalent among some Kenyans, particularly those who support Uhuru and Ruto. The human rights NGO counters certain perceptions with the reality as they see it. The problem is that human rights defenders and those that speak up in favor of the ICC in Kenya have been intimated and threatened. In such a climate also the witnesses of the cases against Uhuru and Ruto are disappearing because they are offered money to withdraw or they themselves respectively their family has been intimidated. Thus, the Kenyan government not only fails to protect witnesses; on the opposite, it seems to be actively involved in threatening them. Then Kenyatta and Ruto were in March elected President and Deputy President respectively. Both men are accused of orchestrating violence after Kenya’s 2007 presidential election. Since then, the Kenyan state has mounted an unprecedented campaign against the ICC. 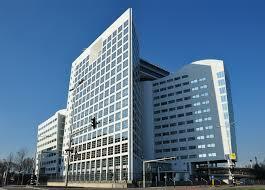 The main argument of Kenya against the ICC rests on the claim that the ICC is hunting down Africans. The language of “hunting” a certain race, or people, because of their identity is indeed very disturbing as Kenyan Professor and influential lawyer Makau Mutua, who is the dean of the University of Buffalo Law School, points out in Kenya’s daily The Standard. Professor Mutua has argued since a long time that traditional human rights norms – and the human rights movement – could be subverted and abused as a crusade of the “West” against the “Rest,” Europeans against the Global South and thus a déjà vu for those who experienced and suffered under European colonization. Importantly, he adds that despots and all those who want to subjugate their own people should not attack the normative Eurocentric origins of human rights as “alien” and “Western” concepts because they want to keep their people in chains. All the eight cases before the ICC are targeting African countries. Four of those cases were referred to the court by African states themselves (CAR, DRC, Mali and Uganda). Two were referred to the court by the UN Security Council (Libya and Sudan). Two others (Ivory Coast and Kenya) were initiated by the ICC Chief Prosecutor proprio motu, in other words by his own volition. However, many more of the 122 state parties to the ICC could be in the center of attention. And that is also happening as The Hague looks into possible cases, including Afghanistan, Nepal and Colombia. In addition, the ICC Chief Prosecutor Fatou Bensouda is an African woman. Her competence and fair mind as a lawyer are beyond reproach. The ICC would be better advised to widen its net beyond Africa, but that doesn’t mean Africans should be immune from its jurisdiction. Nor does it mean egregious African violators and suspects should go scot-free. The Kenyan cases only went to the ICC because the political class was unwilling to try them locally. It was the same political elite that insulted minorities during the election campaign in 2007 with language comparable to that heard before the Rwandan genocide. And when the violence exploded after the elections it is clear to all observers that the violent attacks on neighboring ethnic communities were planned and not spontaneously organized. The only question remains why six people were picked and not other potential heavy weights that were involved in peace negotiations headed by former UN secretary-general Kofi Annan. While everyone is still wondering whose names were written down in Justice Waki’s letter to Kofi Annan, it is clear that the “Ocampo Six” respectively the three remaining subjects have blood on their hands. Kenyatta tries to go along a fine line showing a (wrong) sense of willingness to the international community that he cooperates while at the same time he does his best that the witnesses of his case are “disappearing.” Part of the Kenyan public is behind him, particularly from the ethnic communities of the president and his vice-president. They argue that the president should do his job and no court should disturb him. For others, particularly for victims and all those that remember the injustices of the 2007-208 post-election violence, it is not acceptable how Kenyatta proceeds with this case. Previous Who will head the EU in 2015?